Equipment: Anything soft to squeeze with knees. 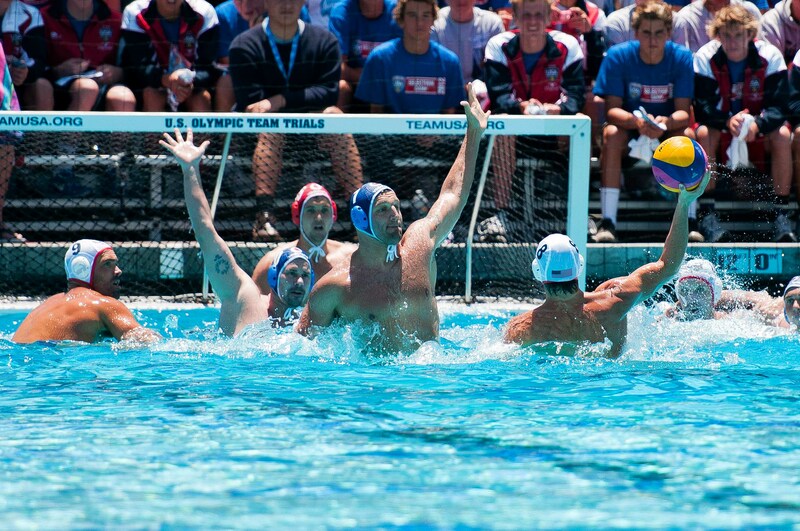 Coach’s Tip: Thoracic rotation is very important for the water polo shot. The key here is to squeeze knees together, then press them into the ground as you rotate. Coach’s Tip: The 3 different lunges in this combination help the water polo player with improved flexibility, stability, and strength in the legs, while stabilizing the hip capsule. These exercises are a must for all players to help set a wide, solid, and balanced foundation for the shot. Coach’s Tip: The freestyle movement is great for shoulder and mid-section strengthening. With the amount of swimming and grappling involved in water polo, these movements help strengthen the shoulder capsule and improve “fingertips to toes connection” for swimming. Equipment: TRX bands, suspension training bands. For novice athletes, use resistance bands instead of the TRX. Coach’s Tip: This exercise improves shoulder mobility and stability. It helps decrease the risk of injury to the shoulder capsule prevalent from overuse from the combination of swimming, grappling and shooting. Coach’s Tip: Although the water polo shot is a very powerful, complex movement, an athlete needs to be stable and strong through the mid-section to generate power for shooting. Anti-rotational exercises aid in transferring power from the lower body and torso to the shooting arm. Implementing these five exercises in a dryland program will significantly improve a player's shot against opponents. Discover more water polo specific dryland exercises to improve defensive skills and transition speed.